We love the Cardinals! Bob Candice is an expert conversationalist about the St Louis Cardinals. 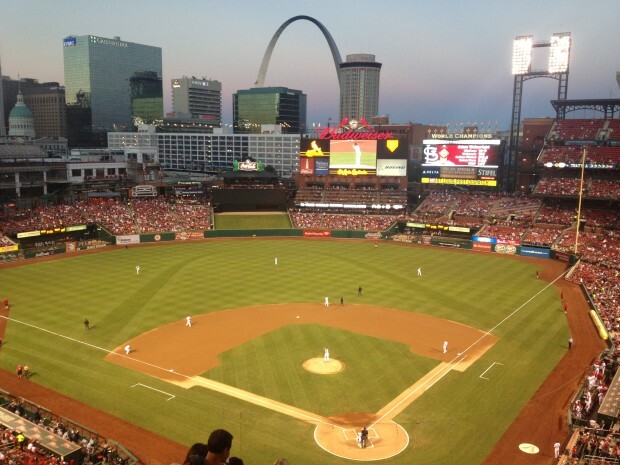 Having been born here and raised here there isn’t much about the Cardinals that he has missed. To support his true love and passion Bob is offering 50% OFF pizza’s and appetizers during each Playoff Game that the Cardinals play in………..
It’s a home run for everybody; you enjoy great food and sports while saving money and we satisfy another customer. Additionally, as the Holiday’s approach don’t forget that Bob has provided catering services to the St Louis area for more than 35 years. Keep them in mind for your next event that needs catering or a banquet facility.